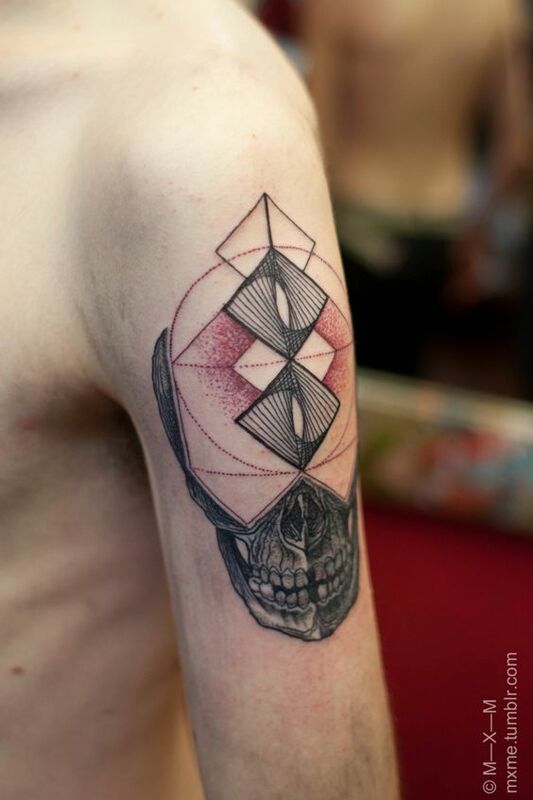 Here’s some gorgeous piece of work picturing only bottom half of a skull and the top is done out of spherical geometry, some triangles, circles and etc. my name is Andre and i am a collector of arts. This tattoos here i show is all i get in internet and copyright by them, so if you want to use the tattoos image for use. You're welcome.